I CAN remember the launch of the original Rav4. I can also remember the motoring journalists of the time going mad for it. Here was a car that ticked all the boxes of the then emerging small SUV market, but one which finally handled like a sporty hatchback. because it really was an absolute hoot to drive. But that was over 20 years ago and a lot has happened to the industry in that time. The Rav4 might have been one of the pioneers of plonking a practical SUV body on a sweet-handling chassis, but it certainly wasn’t the last. And over the years it’s had a tricky upbringing. The second generation continued the theme and, although it was a very pretty car, it lost a bit of the original magic through safety regulations and a demand for greater efficiency. By the third generation it seemed to be losing its way. It had gone from being the best small SUV on the market to being a reasonably capable car with a huge amount of competition on its hands. And so the fourth generation had to be pretty impressive to escape the clutches of mediocrity. The good news is it is better. It’s pretty much a welcome return to form, and its familiarity speaks volumes for its success. 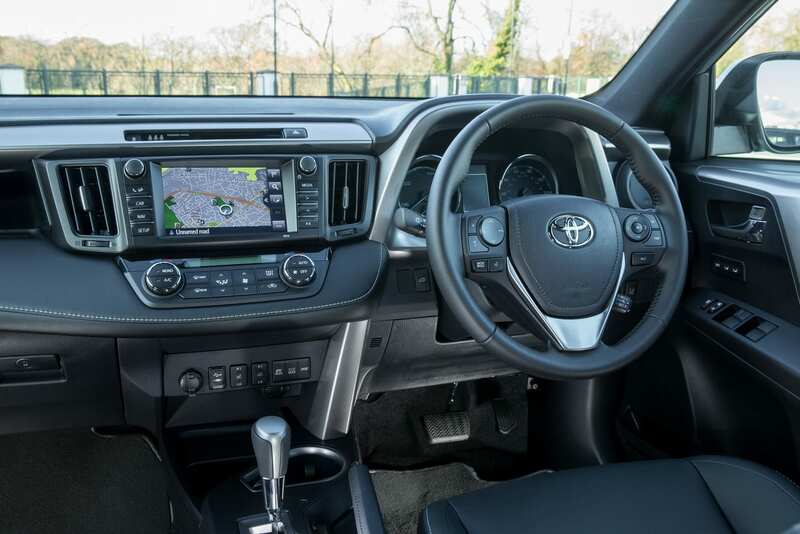 A new version has now been announced for next year, which will see the Rav4 moving up a gear and into the realms of a true SUV offering – but that hasn’t stopped Toyota loading the current version to the gunnels with its latest technology. Chief among these high-tech additions has been the option of a hybrid system. Anyone familiar with the Toyota hybrid setup – it’s similar to the one in the Prius, for example – will already know how it works, and they’ll know it works well, but it fits the chunkier, heavier Rav4 like a glove. 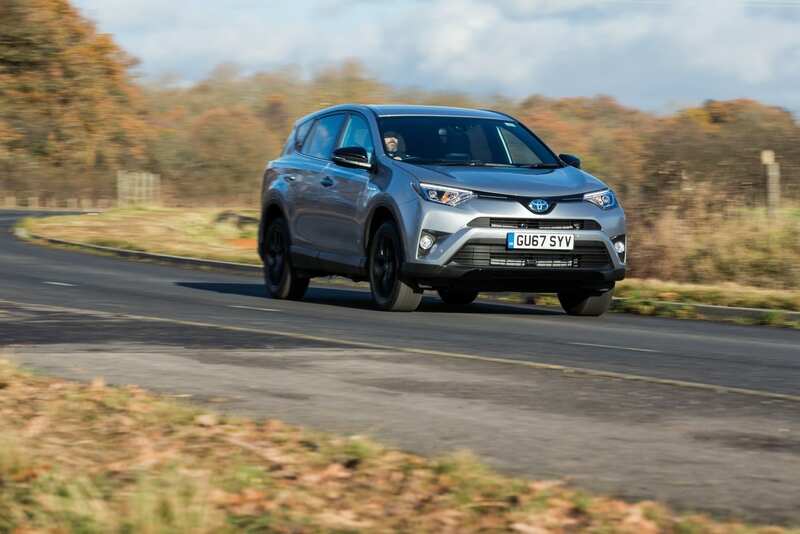 The latest incarnation of the Rav4 is very stylish, even a bit futuristic in some aspects of its design, and – although other engine options are available, the hybrid is the best version I’ve tried. It also drives very well. It’s not as fun as the original, but even with petrol/electric propulsion fighting their way through a constantly-variable glove box, it’s far from dull. Inside, there’s a nod towards the slightly utilitarian feel of the original, but it does feel very well put together. 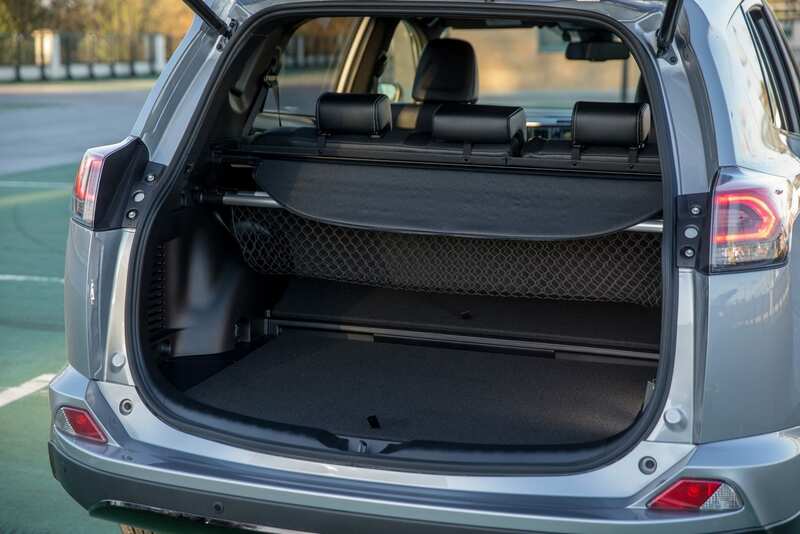 It’s comfortable, visibility is very good and there’s plenty of space in the five door-only cabin. While the hybrid system is good in plenty of environments, it does trip up somewhat on the open road. 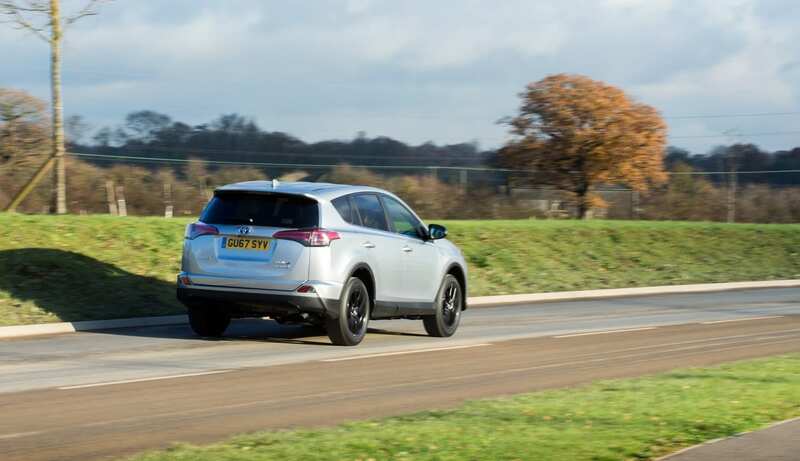 Fuel economy suffers on long, motorway runs and the electric motor-only option, which can be selected by pressing a button, is only good for slow, urban crawls. That said, hybrid cars have their fans and they’ll be pleased to see this offering in such a capable and familiar model. This being merely a revamp of the soon-to-be outgoing generation of the Rav4, it’s fair to say there’s still some work to do to bring back the sparkle of the original car, but it’s a car that’s still true to its purpose. And it’s growing old gracefully. The multitude of rival models that followed on from the success of the first generation of Rav4 have found themselves once again fighting a worthy adversary. I’m not sure we’ll ever see a properly sporty, small SUV again, despite the genre’s obvious success, but here’s a car which won’t bore you in the bends and still delivers good practicality and economy.